Businesses & CEO’s Contact Us Today! ATZ Irrigation provides personalized commercial irrigation services to meet the needs of all types of landscaping and lawns. 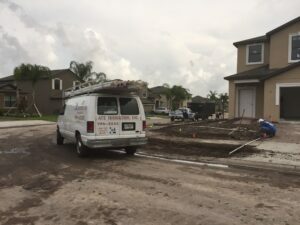 We have a substantial crew and enough trucks to cover any major or minor commercial irrigation project and always bid fair and always get the job done fast and efficient! Our irrigation repair service offers a complete range of troubleshooting and repair service to fix the entire business irrigation systems. We fix irrigation problems quickly and with reliable results with a full year warranty. We install irrigation systems from one simple sprinkler system around a storefront to a large number of sprinkler systems in new developments. Our planned sprinkler maintenance Service is devised to keep commercial irrigation systems fully functional and working to deliver water properly to the coverage areas. By performing regular periodic maintenance, we keep the sprinkler system working without interruption so that the lawns and landscapes are green and healthy. For contractors, builders, and developers, we offer a free bid and reasonably priced quality service. Our irrigation services are delivered to specification, on time and within budget. Call us on (727) 937-7177 or complete our Online Service Form for Quick and Reliable Commercial Irrigation Services.